Practical, comfortable, weatherproof and windproof clothing, created by and for cycling enthusiasts. 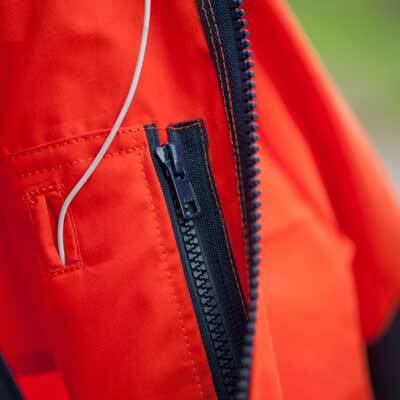 Hilltrek garments are designed for ease of movement with features including hoods to fit over helmets, well placed accessible pockets and waist adjustment options to prevent flapping. Video: watch Hilltrek's Greenspot® cycling jacket join forces with a Pashley to take on Scotland's NC500. Greenspot® is a registered trademark of Hilltrek Ltd.
Great functionality. Keeps core warm. An easily stored cycling gilet in single-layered Ventile® with high collar and scooped tail.